Comfortable and lightweight are the features that best describe our Bulletproof Vests. We are emerging as the promising Manufacturer, Exporter, and Supplier of Bulletproof Vests (BPV-C03) from China. 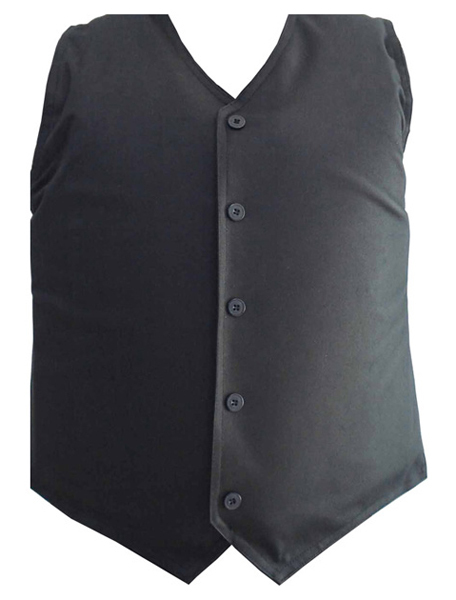 We make use of high-grade materials in designing and developing these vests. And all our endeavors are directed towards keeping them in line with the applicable standards. This bulletproof vest is to be worn (concealed) under normal clothing and provides protection on front, back and sides. Protection Level IIIA (by NIJ 0101.06 National Institute of Justice, USA).Built from Armored™ fiber. Features : CompassArmor® Performance will change the way you evaluate body armor. This performance-driven body armor system is rigorously tested against "Special Threats" and designed with over 5 integrated features. CompassArmor® provides the ultimate combination of protection and comfort. Size : S M L XL andX XL. Protection Area : 0.25, 0.28, 0.30, 0.32,0.36sq.m.